Postcardese: Thank you Debs, Postcardy and PFF! Thank you Debs, Postcardy and PFF! I thought I'd share some good news with you this week - I managed to pass my masters degree at Goldsmiths. 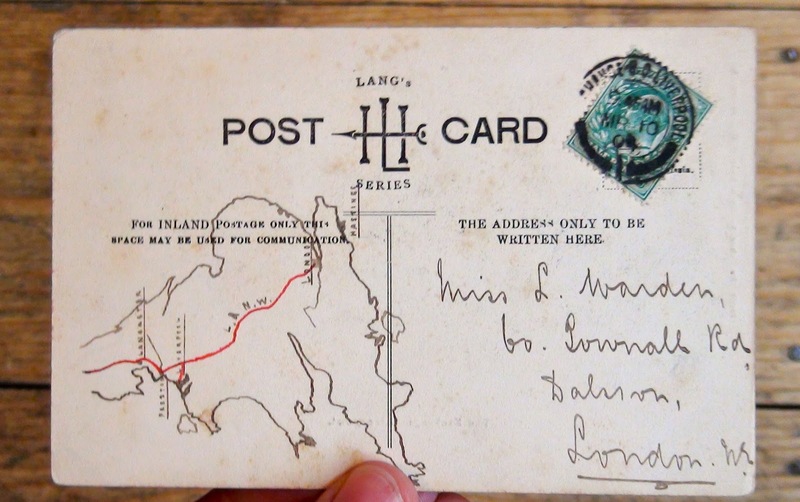 As you might remember, after messing around with some post-it notes I wrote my dissertation on why old postcards are intriguing today. Here's an extract which gives a very big knuckle tap on the shoulder to the brilliant Postcard Friendship Friday, run each week by Beth in Oregon. 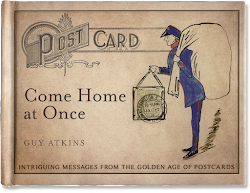 Two years ago I set up a website to explore the messages in my collection of postcards. The site was adopted by a group called Postcard Friendship Friday, hosted by Beth Niquette in Oregon, Ohio. The group is typical of the 'super-niches' that the internet allows us to develop in some part of our lives. “Postcardy” a collector from Minnesota collects vintage comic postcards. The collectors leave postcard-sized messages on the comment boards for others to read. In June 2010 I wrote a post on a mesmerizing card sent to Miss L. Warden in London in 1904. Having taken scans of the ‘front’ and ‘back’, I presented a full anatomy of the card. 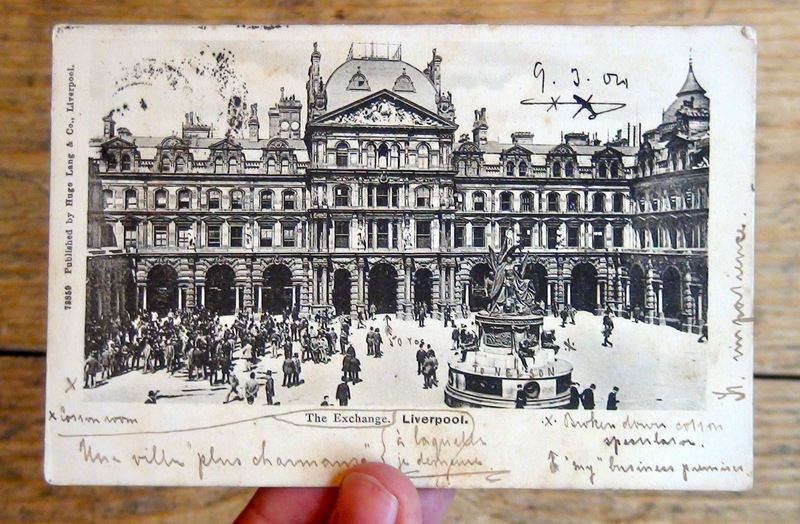 On the ‘front’ the sender had annotated the image of The Exchange buildings in Liverpool, at the time a centre for trade in the city. He (or she?) used various signs and a key to direct the way the reader would approach the card: with a double-feathered arrow he showed where he worked and with a dotted cross highlighted “a broken down cotton speculator”. On the ‘back’ he drew a map of Britain, outlining the route of his rail trip from London, adding a reference to Hastings which presumably meant something to Miss Warden. I could not believe I had missed this aspect of postcards. I looked through my collection and found twenty or thirty examples of cards where the King’s head had been placed on an angle, or even stuck upside down. 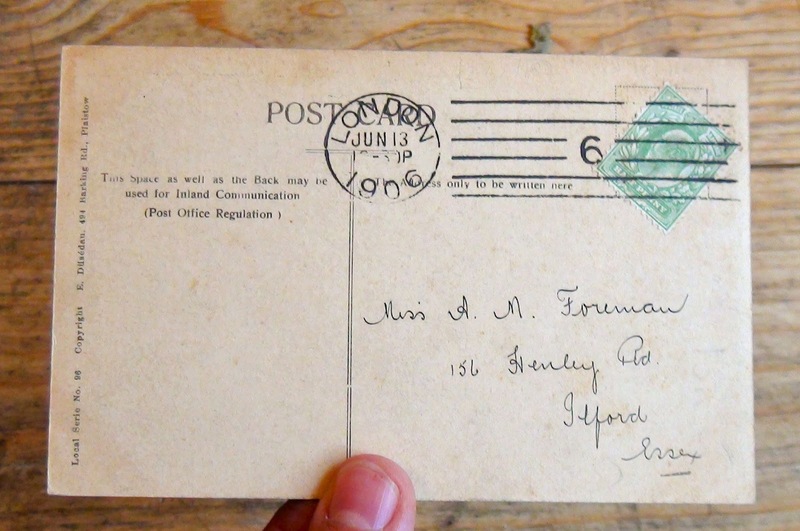 In one example, besides the address there was only a tilted stamp on the card. At the next fair, I found cards presenting a whole “Language of Stamps”. Yet again, for all its apparent familiarity the Golden Age postcard had reasserted its status as an endlessly foreign object. Thank you so much! I enjoyed every word of your article. Thank you for including PFF. It was such a privilege to be asked to host PFF here in Oregon, on the West Coast of the United States, over two years ago. There are so many wonderful collectors out there. Congratulations with passing your masters degree! What a great subject for your dissertation. I loved to read about the language of stamps, and am so honoured to be included in your text. Greetings from Amsterdam, The Netherlands. Congratulations! How wonderful to use a subject you love for your dissertation! When my (ex) was deployed "Desert Storm", we often sent cards, letters and postcards with the stamps upside down (as an additional "I love you") - I had no idea others have done the same for years! What an exciting discovery!!! What I find appealing about our little 'niche' is the friendships and connections to those who share a common interest. Your cards tell a story, and you didn't realize there were messages in the stamp! I'm doing the same thing with the stamps, not tilting them or turning them upside down for the message, but making the stamp part of the story! Congratulations on your degree, and stay tuned for more adventures in postcards. Congratulations!! I had not come across your blog before, presumably because I am fairly new to PFF and you were busy writing your dissertation, what a fabulous subject to have chosen. I am off to explore your blog further and will be a new follower. I just discovered your blog today; what a joy! It's clear you are a true deliologist! I just belatedly found this post! Congratulations on your degree...! And thanks for the mention! 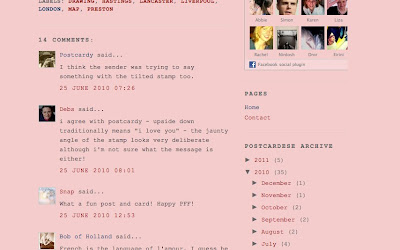 Guy, I just found your blog yesterday (thanks to our mutual friend, Ru Davies) and spent an evening totally lost in it. I have a strong interest in old letters and love the way you explore postcards. But as a business historian this image particularly intrigued me. We normally think of business as fairly humourless, but this card is very droll, especially the 'broken down cotton speculator' and reference (I think) to the Exchange as 'my charming villa' (the Exchange is clearly built in a French style). The sender - perhaps G.J Ow[en? ]- is I'm sure a cotton trader turning a very sardonic eye on his profession. Identification might be possible, though I understand your resistance to that. But one can't help wonder at a back story of getting burnt in a trade. Hi Andrew. Thanks for your message. It's great when a fresh pair of eyes looks at a card. Where did you spot the G.J.Ow(en) name? I must have looked at this card a thousand times and I've never noticed it. Ahh the world before Cntrl F.
And yes, I'm torn on finding more about the cards. Although I think it would be good to do for a few of the cards.... so any clues you spot do pass them on. Best Guy.